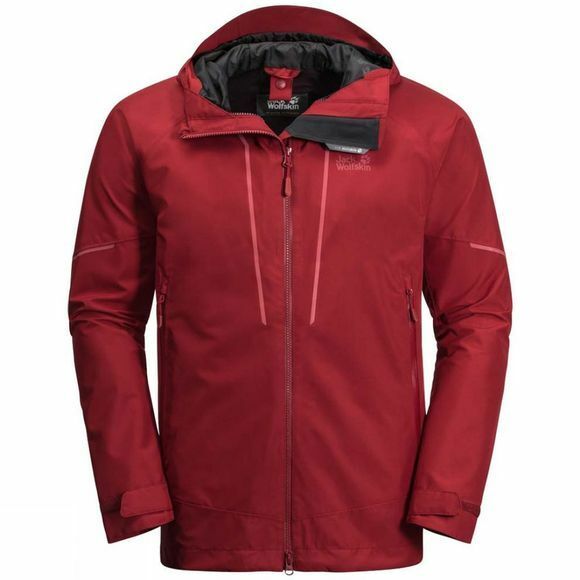 The Mens Skei Trail Jacket is a highly versatile jacket, suitable for everything from gentle walks to mountain trails. And because it's made predominantly from recycled fabrics it's also good for your environmental credentials. The jacket is very breathable, so the wear climate is consistently good even on steep, strenuous terrain. And if you need to cool down a bit, simply open the venting zips. Even if it rains all day, you won't have to worry. Texapore Ecosphere will keep you dry from the first step to the last. The Mens Skei Trail Jacket is equipped with a system zip so you can upgrade it to a full-spec winter jacket by zipping in a compatible Inner jacket.